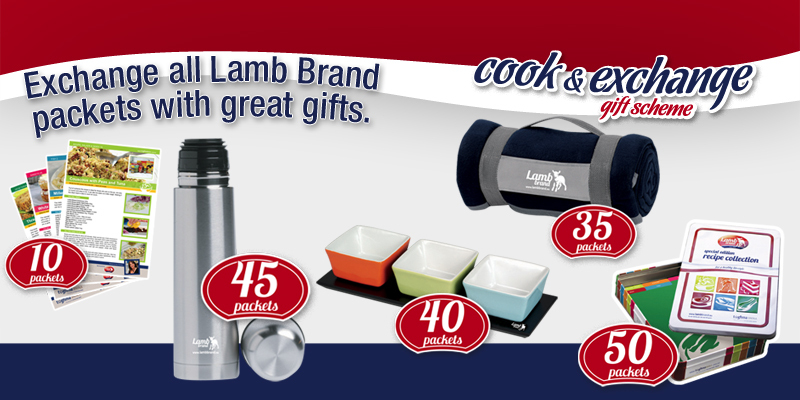 During this Festive Season Lamb Brand will be launching new gifts for the Cook & Exchange Gift Scheme, so do not forget to collect the proof of purchase found on each Lamb Brand product and exchange for great gifts. With 50 Proof of Purchase (or packets) you get a Special Edition Tin Box containing 50 Recipes. With 45 Proof of Purchase (or packets) Lamb Brand is offering you a stainless steel 500ml flask, for 40 Proof of Purchase (or packets) you get these colourful Trio Bowl Set which are ideal to serve dips or any snacks measuring 28.5x9.5x5.5cm. With 35 Proof of Purchase you will get a 100% fleecy blanket measuring 152x122cm, ideal to snuggle up on the sofa to keep cosy and warm or simply keep it handy for picnics or any other outdoor activities. 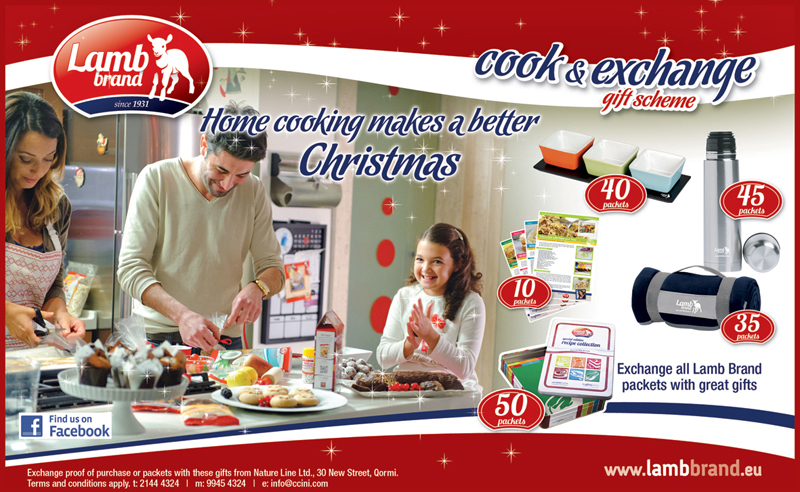 With 10 Proof of Purchase you can get a pack of 4 recipes to be added to your tin recipe box. May we remind you that in total we have 74 recipes for you to collect! 50 found in the recipe box and another six packs with four recipes each to add to your collection. 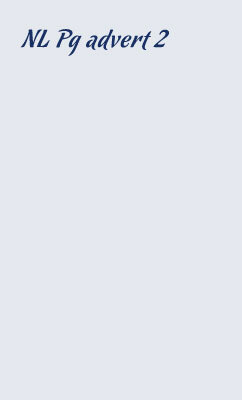 We suggest that you download the attached pdf file where you may find the full collection of recipes that we have issued. 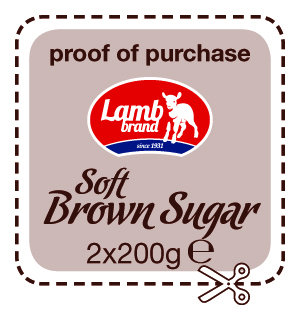 And this is not all, Lamb Brand is giving away a free 10 packets token found on the December Smart Magazine to which it can be redeemed once with every gift! So hurry up, collect the proof of purchase and exchange with great gifts!